TravStar1 Point Of Sale SystemRegister Manual Basic Register FunctionsHow Do I Check the Price of an Item? How Do I Check the Price of an Item? This lesson will teach you how to check the price of an item without ringing it into a transaction. Touch the "Price Check" button. 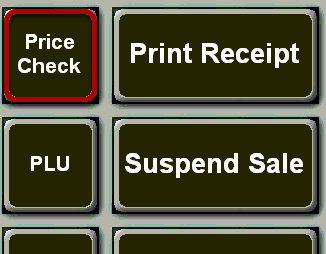 Notice that the register Status has changed from Idle to Price Check. 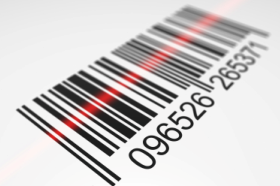 Using the barcode scanner, scan an item. 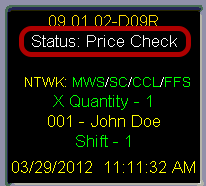 The top left portion of the screen will now display information about this item, including the Level 1 Price. The Level 1 Price is the default price of the item when it is scanned. Prev: How Do I Reprint a Receipt for a Transaction that Was Done at the Register? Next: How Do I Suspend and Resume a Transaction?